Do you feel tired even after eight hours of sleep? Do you feel like you are struggling to do everyday tasks? Having trouble getting up in the morning? Need coffee, colas, energy drinks, sodas, salty or sweet snacks to keep going? Feeling run down and stressed? If you answered yes to the above questions there is a big chance you might be suffering from stress-related adrenal fatigue. Although 80% of people experience adrenal gland exhaustion or adrenal fatigue, and physical symptoms of stress at some point in their lives, adrenal gland exhaustion or fatigue is a condition that is rarely discussed by medical doctors, unless patients have a serious form of adrenal dysfunction called Addison’s disease. In his book,Adrenal Fatigue: The 21st Century Stress Syndrome, Dr. James L. Wilson, DC, ND, PhD coined the term ‘adrenal fatigue’ to identify below optimal adrenal function resulting from stress and distinguish it from Addison’s disease. The adrenal glands are among the most important organs in the body. You have two adrenal glands on top of each kidney. The adrenal glands produce so many essential hormones and are responsible for many of the functions we need to stay alive and healthy, including energy production. In response to stress triggers, the adrenals secrete hormones as cortisol, adrenaline and noradrenaline that permit your body to respond to stress. These hormones help us adapt over the long term to stresses of life. The adrenals are also responsible for producing aldosterone, estrogen, testosterone and many other hormones. These hormones help regulate metabolic, excretory, reproductive, mineral balancing and immune defense functions. Stress and adrenal function often also play a role in many health conditionssuch as frequent infections, chemical sensitivities, allergies, autoimmune diseases like fibromyalgia and rheumatoid arthritis, menopause and PMS, thyroid function imbalances, chronic fatigue syndrome, low libido, chronic anxiety, and mild depression. All of these problems and more may be aggravated by the effects stress can have on your adrenal glands. What are the causes of stress-related adrenal fatigue? Adrenal gland exhaustion or adrenal fatigue is now very common because of constant stress, lack of relaxation, smoking, sleep deprivation, poor eating habits and excessive caffeine intake, as well as allergies. Stress-related adrenal exhaustion or adrenal fatigue is one of the major consequences of constant stress. If you always feel tense or anxious, your body will remain in a state of heightened arousal. Constantly overproducing cortisol and adrenaline day after day because of ongoing stress will eventually lead to adrenal fatigue or burn out. The problem with stressors is that they are cumulative, and add up in the body over time until your adrenal glands just can’t take anymore. A “nervous breakdown” is actually adrenal gland exhaustion or adrenal fatigue. In a state of constant stress your adrenal gland simply can’t keep up with the constant stimulation and outrageous demands for adrenalin and cortisol production, so they simply shut down leading to a rapid drop in cortisol and adrenaline levels, resulting in a full blown picture of adrenal gland exhaustion or adrenal fatigue. What are the symptoms of stress-related Adrenal Fatigue? Burst of energy at 6 p.m. You finally feel better from your afternoon lull. Sleepiness at 9 to 10 p.m. You may resist goig to sleep. If you have 5 or more of the above symptoms, you might be experiencing stress-related adrenal gland exhaustion or adrenal fatigue. This is a serious condition that can lead to bigger problems and deterioration in your heath, if left untreated. It is wise to address your symptoms as soon as you can by seeking help of a qualified holistic nutritionist. 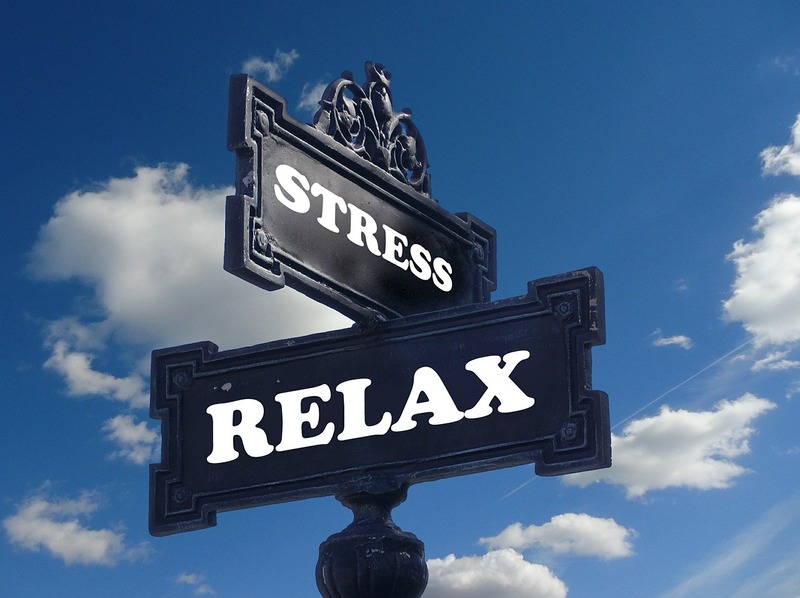 Although many people realize that stress is a problem in their lives, few understand the actual physical ways stress acts on the body and mind through the adrenal glands or more importantly, what to do about it. Make sure to get adequate rest and sleep. Avoid excessive exercise as it can exacerbate adrenal gland exhaustion and fatigue. Go to bed at 10:30 pm maximum and stay in bed as long as you can the next morning. Sleep in a completely dark room to help stimulate the release of the sleep hormone melatonin. Practice deep breathing, meditation, prayer or visualization daily to help you reduce your stress levels and relax. Read more about this in my previous blog post: How to reduce your stress using the mind body connection? Coffee and caffeinated beverages can over stress your adrenal glands and worsen your symptoms. Go for herbal teas as peppermint and chamomile instead. Supporting your body with dietary supplements can help to compensate for the effects of stress on your body and cover possible nutritional deficiencies Ask your holistic nutritionist for help in choosing the best suited ones for your health condition, age and lifestyle. 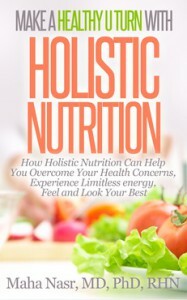 As an Oakville nutritionist, I find that stress-related adrenal fatigue can be effectively helped with a customized holistic nutrition plan for hormonal balance and adrenal support. If you need help with your health and nutrition, CALL Healthy U Turn at 416 876 4634 to book an appointment OR Sign up for a FREE Clarity Session with Oakville nutritionist, Dr Maha Nasr to discuss your health concerns and learn more about how we can help.